There’s an interesting case breaking right now in Southern Florida involving youth football and gambling rings. It’s a poorly written article with an obvious bias but the story itself evokes several interesting questions. In this case a group of coaches set gambling lines for youth football games in South Florida. This area of the country is one of the most football crazy regions in the nation. But, let’s not kid ourselves. There is plenty of gambling going on over Texas high school football. We all know about sports betting for professional and college football. It is a huge industry. What happened in this case is that an entrepreneur found an avenue for profit. People wanted to gamble on the youth football games and someone provided an outlet. The story indicates, and it could be wrong, that whoever was controlling the gambling exerted influence to make certain that no point shaving occurred. That means they were trying to put up an honest game. An honest game is generally in the best interest of the house. It sounds strange but the house prefers an honest game. It is only the gambler that wants to cheat the house. The problem with gambling is the ancillary harm and illegal activity it can engender. Dishonest games. Players paid to throw the game or change the final score. Referees bribed. Then of course there are those who gamble too much and must suffer for their mistakes. There are the families of those who lose all their money and must accept the consequences through no fault of their own. It might be difficult to bribe a professional football player but not nearly as hard to corrupt someone making no money at all, a ten-year old quarterback. A coach, a player, a referee, even the ball boy could deflate a ball at a key moment. All these things are possible. I certainly understand why a state would want to make gambling illegal and they certainly have the right to do so. I’m just not sure it’s a good idea. Generally making things illegal feeds criminals money, lots of money. This money then leads to violence as fights over who gets it occur. Do we think that once people know how much money can be made from youth football gambling that the problem will go away because of a few arrests? Or do we suspect that the underground nature of the gambling will lead to increased criminal activity? It’s a difficult question to answer. With that much money involved there are bound to be unshady types attracted to it. I guarantee that right now, in your office, on your block, or even in your house, there is someone making an illegal bet and someone else taking it. Do we extend legal sports gambling down to youth football so that people have an outlet to make their wagers? With a legal outlet available many will choose it. I’m of the opinion this is the only practical solution but I can see where people would disagree. It’s a fascinating case and I’d love to see what you think! Please comment and don’t be shy about disagreeing with me! I n my daily perusal of news stories I’ve noted a recent trend in misinformation about China’s monopoly on what are called rare earth elements and the danger this represents to the United States. I thought I’d take a quick look at what these elements are, how they are used, and how China’s cutback on shipment of the elements will affect the world. It’s not a particularly exciting story but I found it interesting and I thought some others might as well. The Wikipedia article is extremely thorough and you should look at it for more details but I’ll try to summarize quickly. Rare Earth Elements are not rare. They are fairly common although they encompass a wide variety of elements. Seventeen to be exact. Some are much rarer than others and they have many varied uses including with lasers, alloys, superconductors, magnets, and even chemical reducing agents. The big controversy seems to be that China controls the total world output as almost a monopoly, currently about 90% . This is true but deceiving. China controls about 23% of the proven reserves of the elements although even this is a high figure because China has done far and away the most searching for the elements. Up until 1980 the United States was the leading producer of these elements and even as late as 1990 China only produced about 27% of the total amount. However, they were undertaking a massive program to mine these elements and soon flooded the market with cheap product. This immediately wiped out all competition and lead to them reaching as high total contribution of about 95%. A lesson about monopolies is in order here. I’m a Libertarian and I do think capitalism is the best economic strategy but there are anti-trust laws for a reason. Monopolies are dangerous not only to the general public but to nations as well. When one company or nation controls the vast majority of a highly sought after commodity only ill can follow. Anyway, enough of that talk for now. This is about rare earth elements. For various reasons China is now reducing its exports of the elements and the last few years have seen ramped-up efforts to resume mining in the United States and other countries for fear of shortages. This is a natural evolution of capitalism and perfectly normal. The thing to keep in mind is that there are actually plenty of these elements available. It is only because of the monopolistic practices of China that they are not being mined in more places, it simply wasn’t profitable. If it becomes profitable then the mines will spring up. One more quick aside and then I’ll be done. The mining of these elements usually releases something called Thorium which is radioactive and has been blamed for a number of health problems around the mines, particularly in China and other countries that don’t have regulations against pollution. One reason China is reducing output is because of popular unrest over the rise in toxic waste in the water supply from unregulated, illegal operations. So, I don’t foresee a rare earth element panic because other nations will begin to mine once China reduces output. It might take a few years to ramp up production but there is, in my opinion, no serious danger. Surveys of the seabeds near hydrothermal vents seem to indicate massive reserves are available for eventual exploitation. Health concerns are legitimate but that’s what limited governmental regulations are all about. Keep an eye on the mines and make sure they aren’t dumping Thorium and all should be well. Thanks for listening to this boring blog. I hope someone finds it interesting! Is Your Yard Sale Criminal? There is a fascinating case at the Supreme Court this term that has potentially far-reaching consequences to eBay, Thrift Stores, and even your Yard Sale. It is quite possibly that selling a lamp during your yard sale was an illegal activity. More importantly you might be heavily fined or even imprisoned for doing it! The gist of the case is that a foreign student in the United States found out that text books sell for a lot less in his home country than they did at the student bookstore. He had relatives purchase the books in his home country and ship them to the United States where he resold them to fellow students for a tidy little profit! The book publishers took him to court for copyright infringement, he was found guilty, and ordered to pay $600,000 to the publishers. Unable to pay they took most of his possessions. The basic idea is that once a person purchases something they own it and can resell it for whatever price they desire. The court decided that this did not apply to foreign products. As I’m sure almost all of you are aware, most of the things we purchase these days are not made in the United States. Thus, anything we resell through eBay or our yard is potentially an illegal sale and the original manufacturer is entitled to damages if I undercut their market. Those that argue that the damage ruling is correct claim that there is nothing to worry about because the manufacturers are not going to pursue legal action against people selling such items unless it is on a large-scale. Well, I don’t like the idea that it’s ok to break the law because no one is going to prosecute you. It’s certainly likely that no one is ever going to be subject to penalties for reselling items in their yard sales but it’s a fairly big deal for eBay and other auction house sellers because they can and do work on a scale similar to the one in question. Also, companies like Costco actually do this on a massive scale. They purchase foreign items cheaply, ship them to the US, and then resell them in their stores. So this case isn’t just about a few people but potentially large corporate entities. For the moment I’m going to say that I think it’s ok to resell something you purchased even if it’s from a foreign country but I’m going to stay tuned on this one and see what the Justices decide. I’ll try to remember to read their opinions and understand their logic so that I can report back in a few months. In the meantime I’d suggest you read about the case and hopefully tell me what you think in the comments and with the poll. The concept of fear is one of the main themes in my upcoming novel The Sword of Water. I’ll be talking about fear in a number of blogs from now until it is released. I’ve spoken to a number of people who fear shark attacks. I’ve never spoken to anyone who feared deer. The number of shark attacks in the world reached an all-time reported high of 75 in 2011. Does that number make you pause before entering the ocean? Does it make you want to spend public money to make beaches safer with shark netting and other safety precautions? I wouldn’t think that you’re alone if it does. Were you aware that over 200 United States citizens die every year in accidents caused by deer darting in front of their car? The chances of dying from a deer in the United States are significantly higher than those of being attacked by a shark. Remember, the numbers listed in the link are shark attacks worldwide. Attacks and deaths in the United States are much lower than the 75 listed in the article. Sharks are scary looking. Deer are not. Sharks have nasty bitey teeth. They are top-level predators. They are scary. But, the reality is that deer are far more dangerous. Let’s be honest, last year more than 32,000 people died while driving and this represents a decrease! In 2009 some 37,000 people died from drug related incidents. These are largely not criminal drugs but prescription medication. My point here isn’t to be an alarmist. Life is dangerous. You can be killed by a shark, you can die when a deer causes you to drive off the road, you can be killed in a non-deer related traffic accident, your prescription medication can kill you, you can be hit by lightning, or die in a fire. The question to ask is if we want to live in a world with no deer, with no sharks, with no cars, with no pain medication? Do we want to trade the experience of life for safety? The old saying goes that freedom isn’t free. That might be true but more pertinent to the world of today is the idea that freedom isn’t safe. Our politicians promise us safety in exchange for freedom. It’s a bad bargain. Anyone who offers you safety for freedom is up to no good. We live in an ever-growing police state where the government has the ability to watch us at all times, to arrest us without cause, to hold us without charge, and to torture us because we might have useful information. I guess I’m saying don’t let our fear of deer stop you from driving to the park. Just know they could be on the road and be prepared in case one jumps out in front of you (run it over, don’t swerve). I’ll be talking more about fear in the coming weeks and months. I think it’s an important topic for all of us to think about. Some time ago when I first starting blogging here on WordPress I wrote a post about the Gold Standard. In it I tried to explain the concept in its most simple form. Today I’m going to try to explain the term of Elastic Currency. These two terms are linked together as monetary policy siblings and a thorough understanding of both concepts is a precursor to being able to fully understand the financial problems that face the United States. As with my Gold Standard article I’m not going to get too technical nor am I going to make too many suggestions as to whether or not this policy is best for the country and the world. I think it’s important to understand the concepts and only after that can people make informed decisions about the financial future of the United States. The idea of Elastic Currency is that a central banking institute can expand or contract the amount of money available to lending institutions based on economic conditions. This is deemed to be important for two linked reasons. The history of economies throughout the world is a history of boom and bust cycles. These cycles bring tremendous hardships to nations and the goal is to alleviate the pain of these events. In a boom/bust cycle a particular item becomes attractive to buyers which spurts a speculative interest in those sorts of items. Be it dotCom, Housing, or whatever. Basically people find that they can purchase the product and then sell it later for a profit. This fuels the boom. More and more people purchase the product which drives the prices higher and higher generating further profits and more speculation. The boom “bubble” grows and grows until the product is selling for far more than it is worth. Then, all the people holding the product at the end are bankrupted when people suddenly stop buying. This destroys economies because the people can’t pay back the money they’ve borrowed and the people who loaned the money also go bankrupt. Thus, there is no money to loan others and we enter bust. The idea behind Elastic Currency is that a central banking institute recognizes a boom cycle is going on and reduces the amount of available currency to loan and tempers the speed and size of the bubble which bursts with far less grave consequences. Likewise, during the ensuing bust cycle the banking institute allows more money to become available for loans thus paving the way for new growth by those who played it safe and did not engage in the boom but would otherwise be shut out by the lack of available loans. The demise of the Bretton Woods gold standard in 1971 and the rise of Bretton Woods II is clearly linked to the current level of indebtedness that the United States and much of Europe face. Whether there was another, better, solution is unclear. So, that’s the main idea of Elastic Currency. I promised not to make too many suggestions as to fixing the rising debt we face but one thing that I think has been ignored by the Federal Reserve and the financial agencies of other countries is that Elastic Currency can and should be contracted at times. It is not merely a tool to fuel growth but also to temper expansion. The other suggestion is that the Federal Reserve’s job to limit the boom/bust cycle is not to eliminate all bust. Moderate bust is good. It weeds out weak players and allows for the growth of new, vigorous entrants into the economy. I hope this little essay explains some of the concept of Elastic Currency to my legion of followers. I do not pretend it is an exhaustive treatise on the subject and I recommend a perusal of the Wiki articles linked above for a far greater understanding of the process. Thanks for listening and feel free to comment below either in agreement or disagreement. All are welcome! An incredibly interesting and potentially dangerous verdict came down today in Italy. A group of seismologists were charged with failing to correctly predict the 2009 earthquake in L’Aquila in which 309 people died and another 60,000 were left homeless. 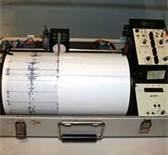 The details of the case seem to indicate that the scientists didn’t consider an earthquake to be imminent, despite smaller tremors, and told the local politicians as much. This information was disseminated to the people of the region who then did not evacuate or make quake preparations. Thus, when the earthquake struck, most people were unprepared. The main earthquake was preceded by weeks of smaller quakes which concerned people but the assurances by the government and scientists alleviated these worries. The seven scientists brought to trial have now been found guilty and sentenced to as many as six years in jail for their crime. I’m of two minds about both the prosecution and the guilty verdict. Firstly, I don’t doubt that local politicians, tourist boards, and businesses exerted some pressure on the scientist to minimize the threat for fear of lost revenue. I don’t know all the pertinent facts in the case but it seems likely this sort of influence was put forward. If the scientists buckled to this pressure and the evidence actually suggested that a quake was imminent then I’d support both the trial and the verdict, but, to be honest, I’m skeptical this happened. Again, I’m not naive, I know the scientists were probably under some pressure but the science of earthquake prediction is inexact to say the least and to convict the scientists of manslaughter is a very dangerous precedent. My major issue is that the problem that the verdict hopes to alleviate, scientists not warning people of danger, will actually not be helped in any way. Let me explain. In the future scientists will err on the side of alarmist predictions to avoid similar prosecution. It is like what we now see with the early Tsunami warning system. An earthquake happens, tsunami warnings shoot out across the region, nothing happens. This sort of Chicken Little event will cause the public to view such warnings with increasing skepticism. This will lead to greater inaction when a real threat approaches. My conclusion is that both the prosecution and conviction of the seven scientists will mean less safety for the average person and will lead to greater insecurity as scientists blare out warnings too often and citizens begin to disregard them. There will also be over-reaction to the new warnings which will cause lost revenue and other potential harm in panicked populations. And, we’ll be frightening children unnecessarily which is not good. I would have preferred some sort of internal review of the scientists to see if they unduly bowed to pressure in their conclusions about the likelihood of an earthquake and, if it is determined they did, that some internal sanctions take place. Sadly, psychics are in the news again and things don’t seem to have changed much from the times of the ancient Greeks with the Oracle of Delphi to current times and John Edwards. As a Libertarian and Objectivist I’m torn by this particular industry. 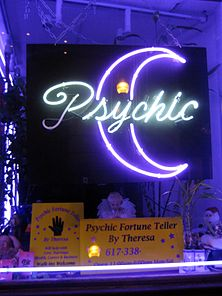 On one side I see that people are not being forced to go to a psychic, they are not being forced to spend their money, they are certainly not being forced to believe the nonsense they are told. I’ve had a number of friends go to psychic fairs and come back at least marginally convinced in the accuracy of their readings. On the other side I see fraud against people who are at their most vulnerable. It seems fairly common that a psychic comes forward to give misguided hope to the family of a missing child, for a price. This sort of financial manipulation of grieving family members is truly vile and, in my opinion, rises to the level of criminality. Anyone who goes to a psychic is vulnerable in some way and they are being manipulated. I’m not going to spend your valuable time trying to prove how ridiculous is the entire psychic industry nor how vile are those who take advantage of people in a distressed mental state. What I’d like to discuss is the culpability of the average person in this industry. My friends who go to a psychic fair, the parent who reads a horoscope to their child, the match-maker who uses astrological birth-signs to set up couple, all of these people are supporting an industry that preys on grief-stricken people. A 2005 Gallup poll indicates that 41% of people believe in some sort of extra-sensory perception. However, I’m not willing to dismiss this group as hopeless. I think it’s clear from story after story that psychics prey on vulnerable people and far more than 59% of people find that disgusting. Even if you’re in the 41% who believe in some sort of psychic phenomenon you most likely despise this sort of manipulation. So, I ask the 41%, is it worth it? Is the fantasy of psychic powers, of someone knowing the future, worth the damage it entails? To the 59% percent I say, don’t stand idly by when your friends go to psychic fairs and read their daily horoscope. You don’t have to tell them they are stupid, that psychics are wrong and vile. Just say, out loud, that you don’t believe in that sort of thing. Every time you hear someone talking about such things; politely interrupt and say that you don’t believe it and then don’t participate in the conversation. When we skeptics stand up, politely, you never know who we might inspire. The second Presidential Debate is going on about now, or so I’d guess. I’m not watching. My guy wasn’t invited … again. Live Free. Live free, my friends. Live free. As of this moment Gary Johnson will not become President of the United States. Libertarian candidates in general will not win many elections for Senator, Governor, Congressman, or much of anything else at a national or state level. The world is approaching a crisis and a great man once told a nation that the only thing they had to fear was fear itself. The closer we get to this crisis the more fear paralyzes us into inaction. Are you afraid of Obama? Are you afraid of Romney? Are you afraid of Iran getting nuclear weapons? Are you afraid for Social Security? Is your fear driving your vote? Are you willing to sacrifice your freedom for the illusion of safety? Are you afraid of “throwing your vote away”? Are you absolutely certain you’re right? Are you sure the other guy is wrong? Do you skip listening and reading other points of view? If so, then we don’t want you now, but we hope you’ll give up on fear and join us. We want people who know that a vote a Gary Johnson is a vote for Gary Johnson. We want people who understand that hardship is part of life. We want people who think it’s not wrong to help those who are suffering. We want people who are willing to work with those who don’t agree with them. We want people who listen to the other side of an argument. We want people who know it’s easy to make a mistake, who are willing to admit a mistake, who are willing to forgive someone else for making a mistake. We want people who know there are no easy answers and anyone trying to sell them is a charlatan. If you are afraid; then you should feel right at home in the United States of America, the land where fear mongering wins elections and reasonable compromise is forgotten. We can change everything. Every election we get that opportunity. We might not make change this time, or next time, but we’re here, and we’re not giving up. There’s an interesting case making its way through the Maine judicial system. A young woman named Alexis Wright and her partner, Mark Strong, are accused of running a prostitution ring through a Zumba studio. The reason it is big news is that Wright video-taped some encounters and kept excellent records. The controversy is that the names of the men who used the service are possibly going to be made public. Apparently the men on the list make up a high-profile segment of the population of Kennebunk, Maine. They are fighting to make sure their names are not revealed as it will damage their reputation and hurt innocent people (their families). They argue this “list of shame” unfairly lists men who have not been convicted of a crime. I find the case interesting for several reasons. I’m skeptical that prostitution should be illegal in the first place, fodder for another blog. The main reason I’m intrigued is the idea that somehow the people who hired the woman are thought to be entitled to privacy protection when they are accused of a crime. When anyone is accused of a crime, except juveniles, their name is released to the public. The men who used the service are claiming that such an accusation will ruin their family dynamic and their reputation in the community. Their children will be subject to schoolyard bullying, their wives subject to vicious gossip, etc. The idea that prostitution is a victimless crime is fairly reasonable. Certainly it is two adults who willingly engage in a contract and neither is a victim. There are victims, namely the families of both parties, but the reality is that we have little or no control of anyone else and if a relative chooses to behave shamefully there’s not much we can do about it. My conclusion is that there should be no legal difference between a prostitute, a madam, or a client. If I get a traffic ticket that’s a matter of public record. If I choose to visit a woman for sexual favors, and it is regarded as a crime, then I should expect to have my name released. As a Libertarian I find that the mantra of personal responsibility that dominates political talk is just that these days … talk. I’ve found that those who talk about personal responsibility the most seem to be the ones who practice it the least. Not a surprise there. Today is about my baseball team, yes, I said it, “my team”. I don’t own them. I don’t make any personnel or management decisions. But, the Cardinals are my team and they will be until the day I die. The question I ask today is what motivates me to call them “my team”. What motivates sports fans the world over to reference their team in the same way and why this is a good thing? There are many great fans out there who root for their team. I’m even willing to concede that their might be some, semi-rational, people who feel that way about the Chicago Cubs. A sports team gives us something to passionately cheer. 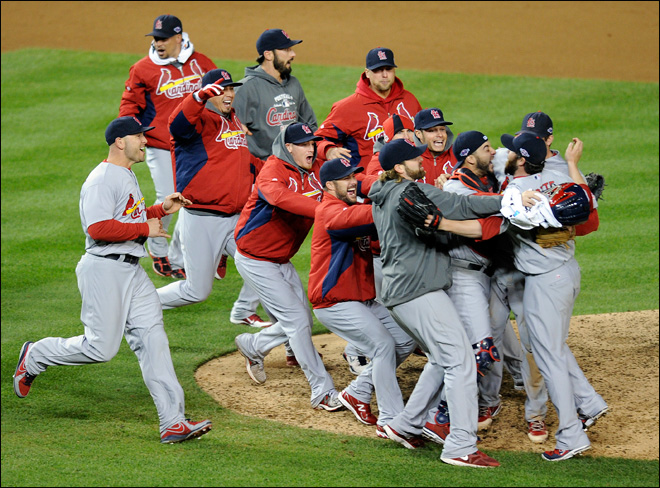 We hurt when they lose, darn you Don Denkinger, we go mad when they win, hurrah Pete Kozma. We have memories that last a lifetime. I was born and raised in St. Louis and my mother is a huge Cardinal fan from her own childhood. My earliest memories are sitting around the living room listening to the games. I think many a fan has a history not dissimilar from that. They grow up rooting for a team and never change allegiances. There are others who come to sports later in life and find a team to cheer but it’s all relatively the same. In the end, whatever the team, whatever the town, it’s “my team”. The reason I think it’s a good thing is because as much as I dislike the Chicago Cubs and their fans; I recognize that they are just like me, fans, not enemies. Sports is war without the death and maiming. That’s a good version of war as far as I’m concerned. I’m quite certain there are Washington National fans out there who are pretty angry with my Cardinals right about now but I don’t think any of them are going to do anything violent. They’ll cinch down their caps and think about next year. As a Cardinal fan I’ve been fortunate these last few years but I’ve tightened up my Rams cap and Blues cap many, many times. I know the pain. All fans do. I’ll go to work next week and teach class to someone who roots for the Cubs or Nationals and I’ll do my best without reservation, without hesitation. I’ll help them accomplish whatever they need to do. Our team at work will build a website for a San Francisco company. Our network engineers will solve a major problem for a company owned by a Yankees fan. We cheer for our team but recognize that life, unlike sports, is about trying to get that win/win scenario. If we all work together we can achieve amazing things. Sports gives us that black and white outlet and then we can return to the normal, shades of gray, daily routine. I guess I’m just saying that if a Cubs fan and a Cardinal fan can get married, can’t Republicans and Democrats try to pass legislation that will help us all? Can’t we root for a our team during the game but work together afterwards? But, I don’t want to slip too deeply into politics because there is something much more important going on … Cardinals v. Giants! I love this story and I eagerly await the outcome of the election. 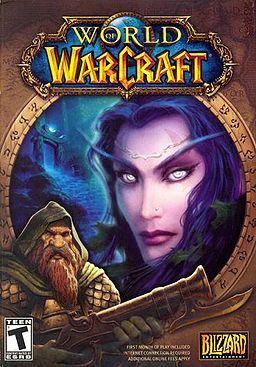 In short, a woman is running for the State Senate in Maine as a Democrat and was “outed” as a World of Warcraft (WoW) player by her Republican opponent. There was an ad posted that quoted some of her in-game messages “I like to stab things”, “I love poisoning and stabbing”, “I can kill stuff without going to jail”, and similar. The goal was to discredit the candidate as someone who doesn’t live in the real world. As far as I can tell the smear attempt has backfired badly and the candidate is getting support from everywhere, including a fellow Horde member who happen to be Republican. The candidate is a big fan of Skyrim and gets a big thumbs up from me even though I’m not a MMORPG player myself. I am friends with quite a few players (long live the Alliance!). The most interesting aspect of the story, for me, is the level to which gaming has saturated both the United States and the world. I love gaming and have been playing role-playing games since I was a teenager and plan on continuing until the day I die. It’s great fun and the fact that, apparently, the majority of people understand the difference between saying, “I like to stab things” in a game, as opposed to in life, is encouraging. From Angry Birds to World of Warcraft; I say, keep playing! Would that the spirit of cooperation between Republican and Democrat Horde members could somehow make its way to Washington D.C. In the end, we’re all part of a great big faction called The United States of America. There’s an interesting political/religious article making the rounds, at least interesting from the perspective of an atheist. The issue is that Georgia representative Paul Broun made some statements in a speech declaring evolution and the Big Bang theory satanic lies designed to keep people from understanding that they need a savior. I’m not at all surprised that people believe this sort of thing nor am I shocked that a member of our House of Representatives would say it. Polling of United States citizens suggests that in 2007 31% of them believed in biblical inerrancy. I’m not even surprised that Representative Broun is the Chairman of the House Science Committee’s panel on investigations and oversight. The question that comes to mind is if Representative Broun is using his religious beliefs to drive his legislative decisions. In 2010 he introduced a doomed resolution to make it the Year of the Bible. Certainly his votes are going to be driven by his belief system in the same way an atheist’s votes or any other person’s votes would be. One of the most important tenants of the First Amendment is that our government cannot tell us how to believe and that entails that we must accept the beliefs of those of different religions. If Representative Broun isn’t using his position in Congress to install Christianity on me then I really don’t have any problem at all with his beliefs. I think he’s wrong. I think he’s blind to the clear inaccuracies in the Bible. By the way for my Democrat friends, Broun was a Democrat for the early part of his political career but switched parties in the 1980s. His legislative legacy includes a proposed ban on pornographic material at military installations, trying to define who can marry as a constitutional amendment, consistent votes against climate change legislation, and votes against TARP. His speeches are littered with anti-President Obama rhetoric questioning his birthplace, his religion, and declaring him a socialist who wants to raise a private army to take over the United States in the same way Adolph Hitler created the SA and then the SS to take over Germany. He’s a politician, a self-deluded fool, but I see nothing except the Constitutional Amendment to legislate who can marry who and who cannot as evidence he’s trying to push his religion on me. In other words, I don’t really have a problem with him if his constituents don’t. I would never vote for him but if the people want him; then that’s the way a Republic works. When he tries to violate the Constitution and push his religion on me, then I’ll stand up and fight for the country that I love. As it is, I respect the Constitution and his right to his ridiculous beliefs.